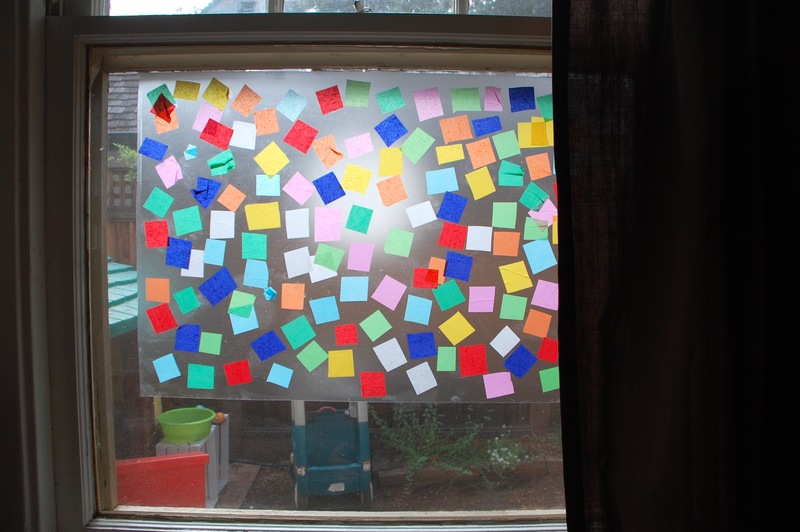 I can’t tell you how many emails, comments, and messages I receive with questions about how to set up no-mess art projects. A really good friend of mine recently told me that she loves my blog, but that my projects are so….MESSY. Eeek. I’m not sure if you’ll believe this but the funny thing is that I’m afraid of messes too. Messes themselves don’t really bother me, but it’s the prospect of cleaning messes that often gets the better of me. I already have dishes to wash, clothes to clean and fold, and floors to sweep, so adding one more mess (that doesn’t really have to be made) is a hard thing to voluntarily add to my to-do list. 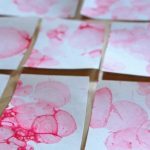 So I thought you might also enjoy a few tips for setting up “messy” art projects that will leave your house clean. 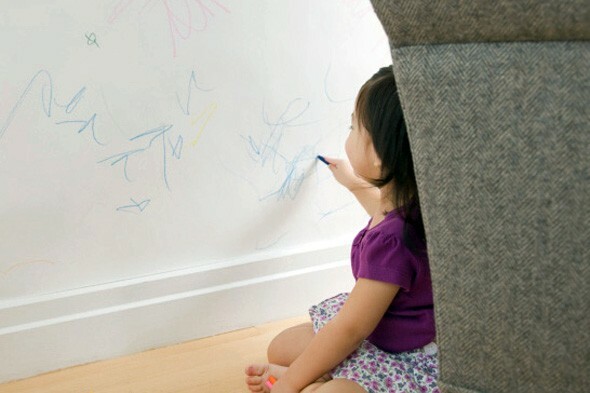 Oh, and just in case you decide to shut that out mess-filter and your kids go a little nutty with crayons + walls, I’ll also include some ideas for cleaning that mess at the end of this post. Just in case. 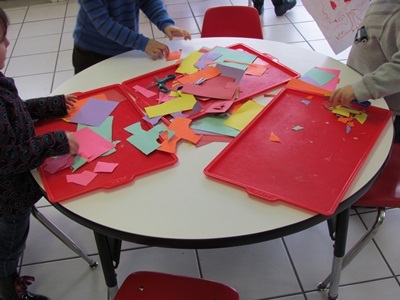 Place large serving trays or cookie sheets beneath small pieces of collage paper for easy clean-up. 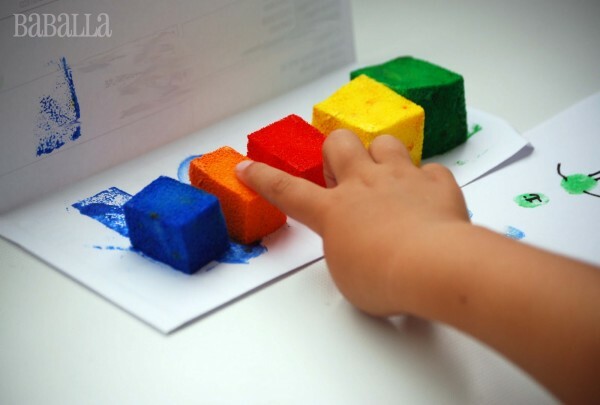 Read Using Trays in the Preschool Classroom for more clever early childhood education ideas from Deborah at Teach Preschool. 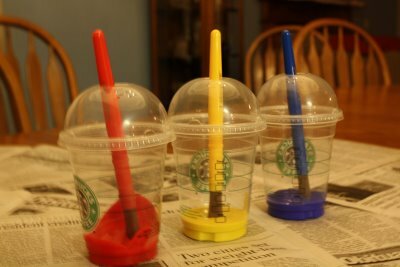 Fill Dome-lidded Starbucks cups with paint. The brush goes right into the straw holder. A brilliant solution to the otherwise spillable paint cups from Muffin Tin Mom. 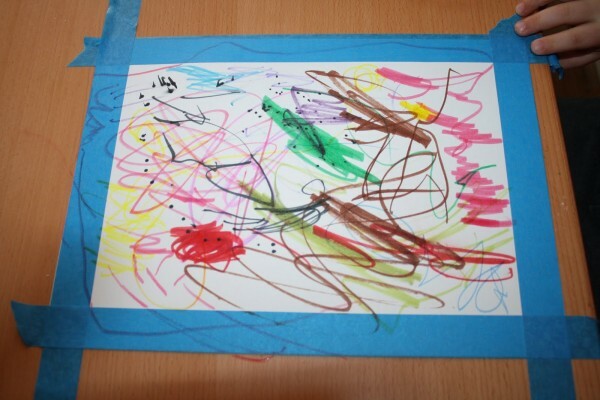 Mess-free painting in a bag couldn’t be cleaner, from Mama Smiles. 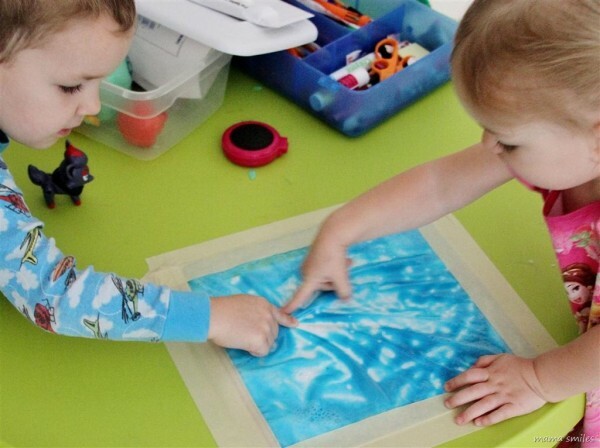 Add some paper and sponges to paint and ziplock baggies for more clean painting. From Steph for Momtastic. 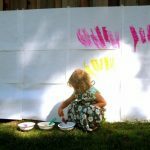 Steph is also the owner of one of my favorite blogs, named appropriately for this post, Modern Parents Messy Kids. 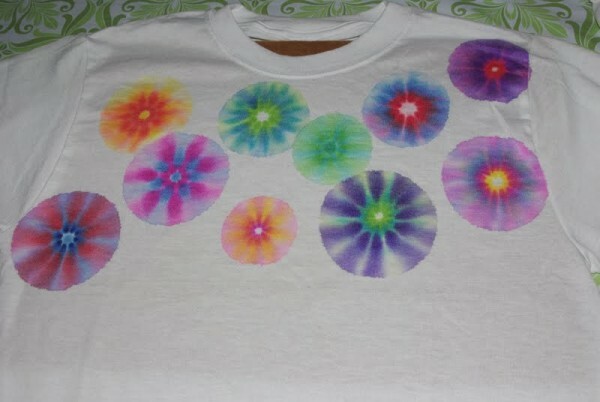 Sharpie Tie Dye Shirts look like they’d make a mess, but it’s all done with Sharpies and rubbing alcohol. My daughter loved this when she turned 3. From Mom’s Crafty Space. 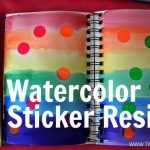 Tape off your drawing paper will keep the edges near the table clean, and will also create a nice, crisp border around the picture. 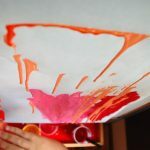 I also cover our tables with a plastic tablecloth or butcher paper when using messy materials. From The Mad House. 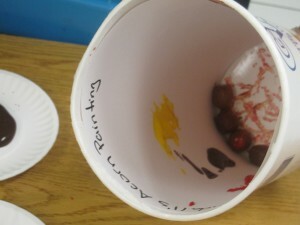 Find out what Deborah from Teach Preschool placed in the Oatmeal container to make unique, active, and clean paintings. 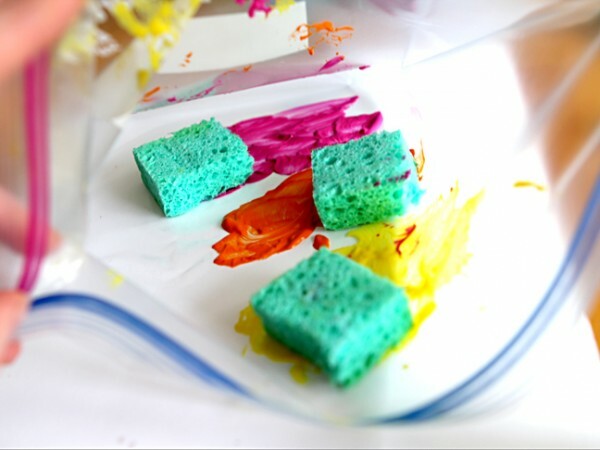 Add paint to sponges for clean-er finger painting. From the Spanish-speaking blog Barballa — if you don’t speak Spanish, still check it out — the photos are beautiful and tell the whole story. 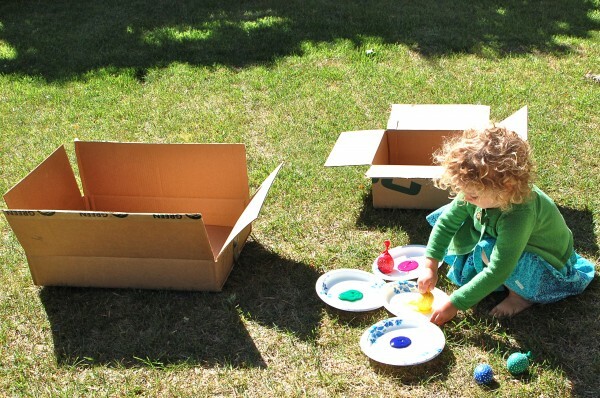 Place painting projects inside a box, as Melissa at The Chocolate Muffin Tree did here. 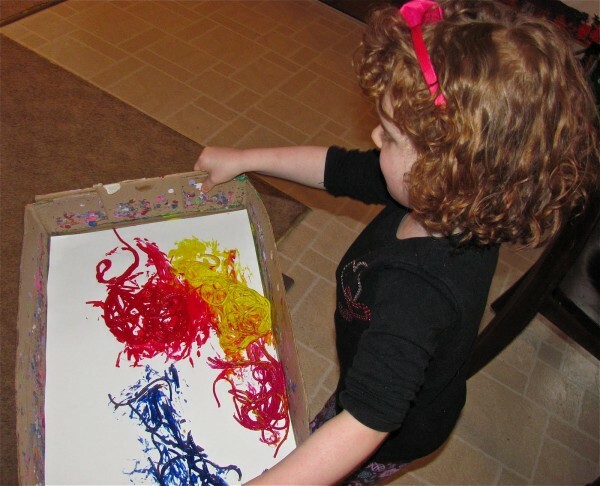 Read more about how they made these creative Spaghetti Worm Paintings. 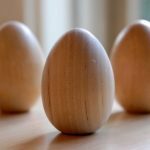 You can also read how we made Rolled Easter Egg paintings (seen in the first photo of this post) here. 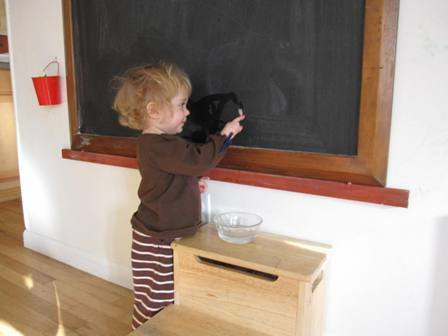 One of my all-time favorite blogs, The Artful Parent, shows this simple way to paint with just water and a chalkboard. Check out Jean’s blog for more ideas. She’s a keeper. 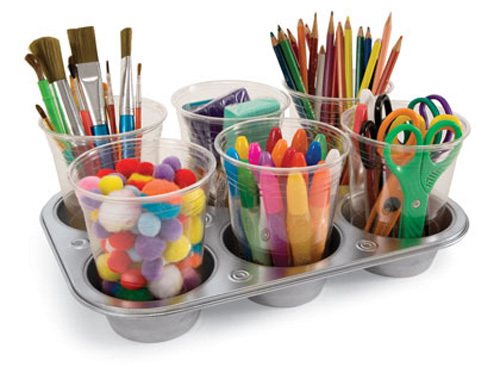 Family Fun has this clever solution to storing art supplies — neatly — on a table, using magnets and a muffin tin. 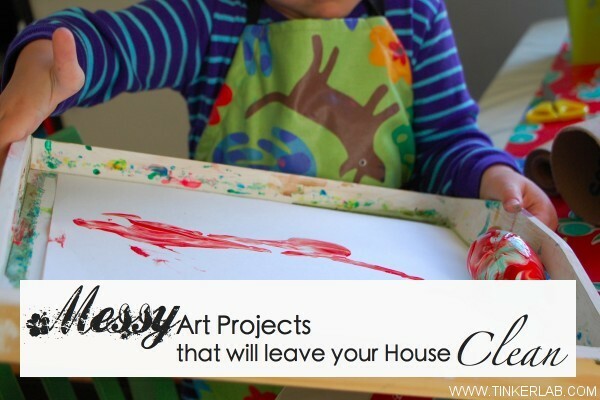 Do you have any tips for messy art projects that will leave the house clean? Great tips!! 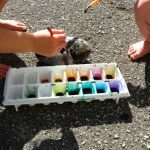 When my daughter was littler and more messy, we did painting outdoors. Then after I could easily rinse her off with the hose or let her run in the sprinklers to get clean. The trays are easy for little hands to get in without tipping and make it easy to put a half done project aside for a while if needed. Thanks for the other great ideas!!! I love the Starbucks cups idea for paints. Brilliant! !